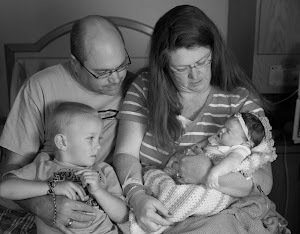 We had an open house for Jason, Amy & Simon to welcome him into the world. We decided toward the open house as this is her third little boy and we wanted him to have something special, but we had already done a full blown baby shower for Logan and a Blessing Shower for Casey so we thought and open house would be good. He had a great turn out of people that wanted to come see him and loved him already. He and his parents were blessed with the things the received. They got a few clothes, but most of the stuff they received was the practical items that cost a fortune that you need for every baby that is added. I am sure there were others, but they are set for a while on diapers. They got all the way to size 5. Mom was the organizer of the food, so all creativity comes from here on the items you see here. The only thing that I was in charge of putting out was the crackers so decided to make them into a caterpillar so that I did something creative for this. Grandma (Great Grandma Olson to Simon) made a blanket for him and sent it along. She makes one for all the children. Just another sentimental and meaningful gift from Grandma. We sure do miss her and want her here. That is the one thing that I have mentioned to my mother that I wanted for the baby. A visit from Grandma. She absolutely hates flying out here on her own which makes it tricky, but I so want to have her here. Torrey and I had hoped to get out there this summer so that he can see Wisconsin but most of all to meet the family that didn't make it and even those that did so it is a different environment. I am still hopeful, but time is running out for safe travel and cheap travel. Lynette, I love reading your blog and following your pregnancy and baby planning. Keep up the good work!